On May 3rd, 2017, Vantage Airport Group partnered with The Embassy of Canada to host a panel discussion on the Public-Private Partnership (P3) Models for Airports. 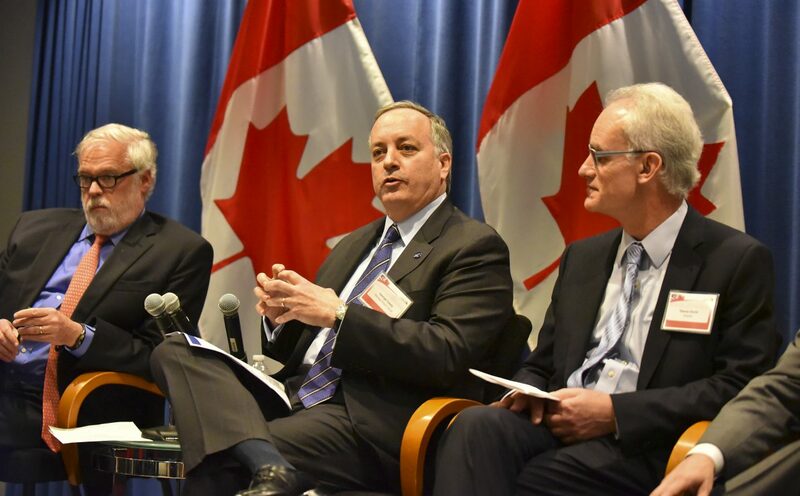 Held at the Canadian Embassy in Washington D.C., the event featured an insightful discussion about the redevelopment of U.S. airport infrastructure. Hosted by Gilles Gauthier, Minister of Economic Affairs, the panel featured experts in the airport redevelopment industry from Canada and the U.S. Vantage CEO and Chair George Casey was joined by Michael Minerva, Vice President, Government and Airport Affairs at American Airlines; Stanis Smith, Executive Vice President, Creativity and Innovation at Stantec and Patrick Foye, Executive Director at The Port Authority of New York & New Jersey. More than 60 guests attended to hear from these experts, who engaged in a lively discussion about the importance of better airport facilities and improved infrastructure for stakeholders, passengers and the local community.